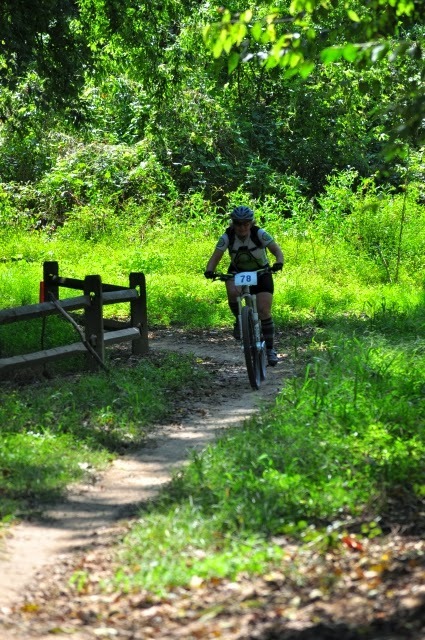 Today was the 6 Hours of Tanglewood mountain bike race. I was originally going to sign up solo since I couldn't find any local ladies interested in partnering up for a duo. 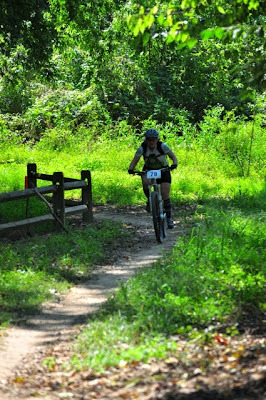 However, luckily I found an awesome teammate on the biketriad forum (my teammate's hubby has some amazing photos and video of the race posted there as well). I had never met Laura in person prior to this race, although we had emailed a couple of times over the past year. 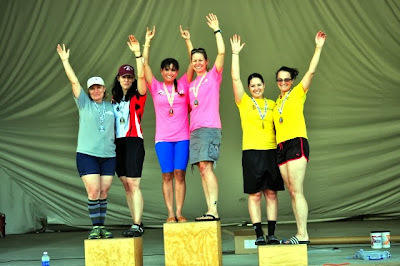 Turns out I could not have asked for a better female duo partner, and we had a terrific race, taking second place only a lap behind the first place team (who I heard were pros! ), and a lap ahead of third and fourth place. The trails at Tanglewood were a lot of fun - tight and twisty, with some very fast sections, a few log crossings, smatterings of rocks, some offbeat bridges and short steep climbs throughout, with a nice flat finishing stretch. I had an incredible time, and hopefully Laura and I will be teaming up again soon!